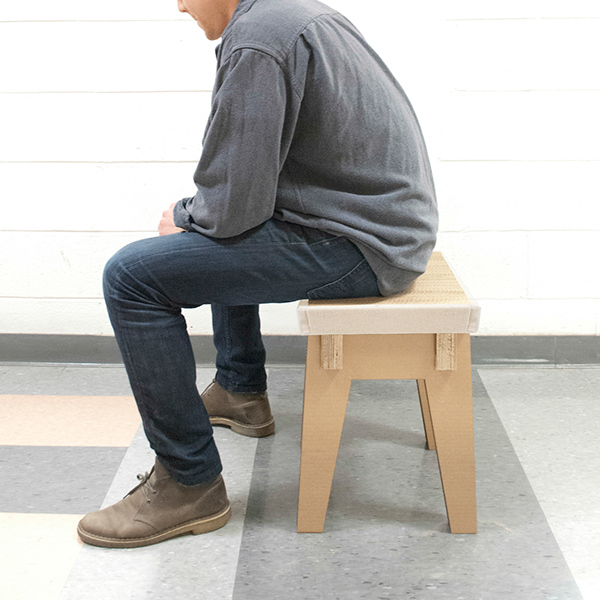 An exploration into the physical properties of industrial waste stream materials yielded many ideas as to how they could used and repurposed in clever ways. 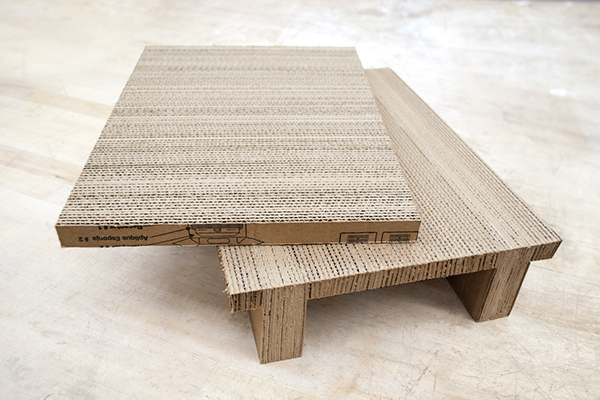 My exploration led to the creation of several pieces of furniture made from corrugated cardboard and industrial felt waste streams. 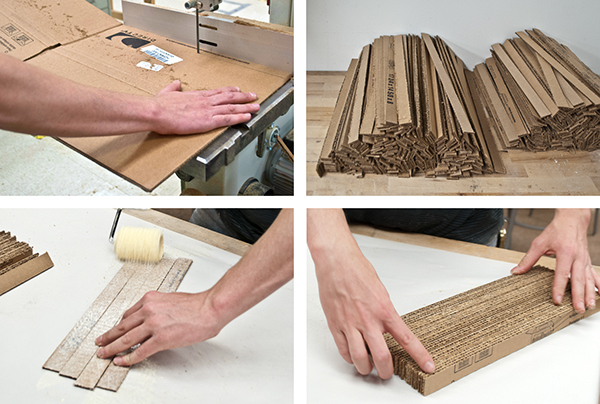 The refined fabrication process entailed cutting and laminating uniform strips of corrugated sheet material into rigid and flat boards. 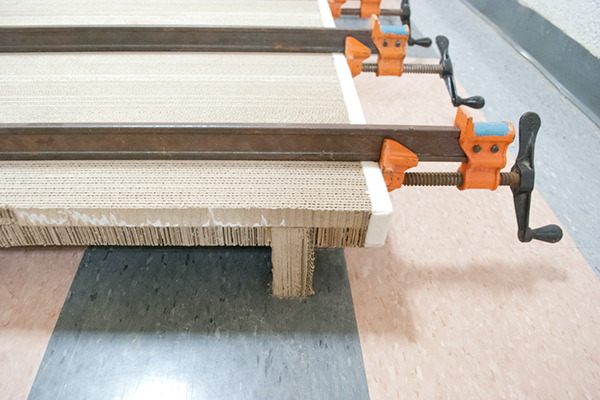 Boards of different dimensions were used to construct the top surfaces of tables and stools. 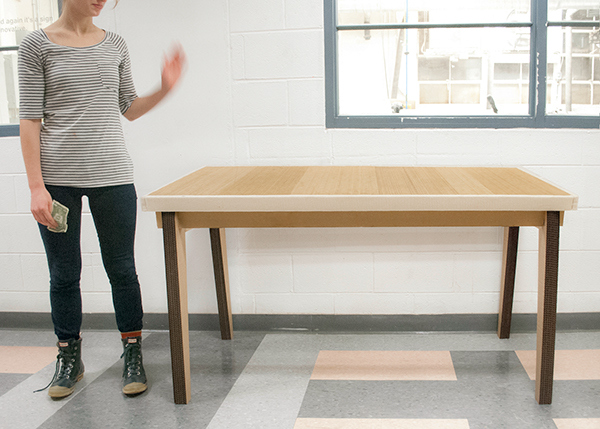 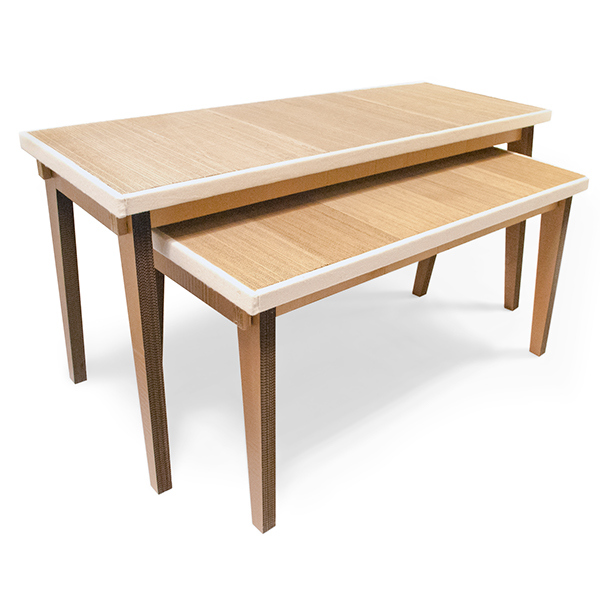 The notched leg panels were created from laser cut laminations. 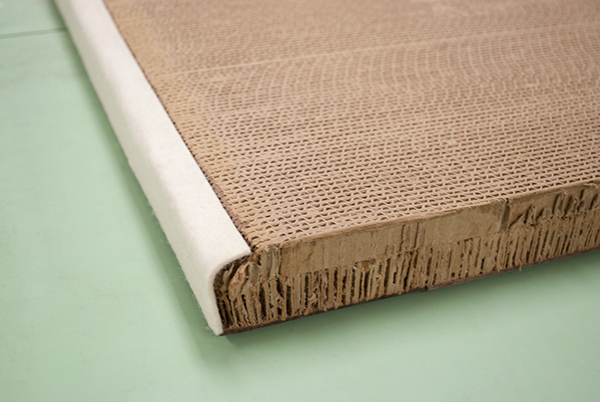 Thick industrial felt, sourced from the wastestream of a manufacturer of oil filters, was used as strips of trim to embellish the rough surface edges. 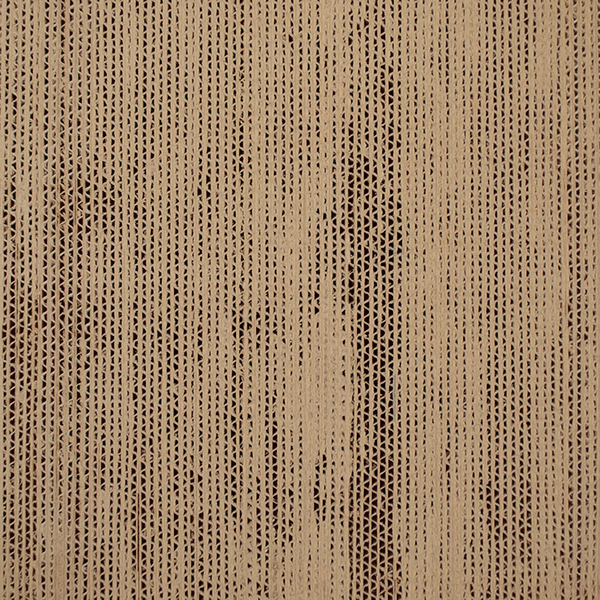 It's natural cream color and soft texture are a natural benefit of the material. 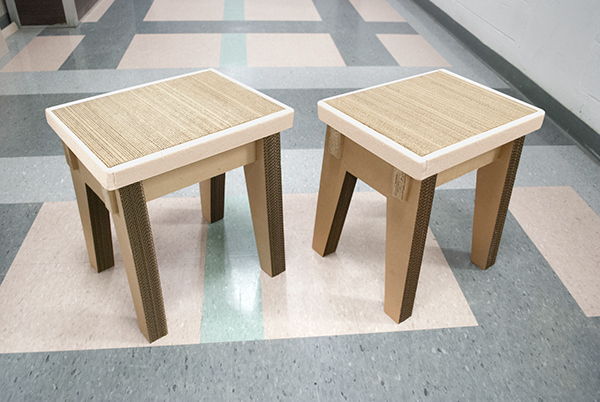 A semester-long exploration of waste stream materials yielded a collection of tables and stools made from corrugated cardboard and industrial felt.